May J. (real name Hashimoto Mei), was invited to collaborate on the event “flowers by Naked 輪舞曲" which covers the themes of flowers, dance and song, represented in Japanese by the term ”ロンド" (輪舞曲 / rondo). The events kicks off its one-month run at the Nihonbashi Mitsui Hall in central Tokyo, Tuesday and will see the installation space, covering 20.5 m by 34.0 m, divided into 10 areas that combine flowers, art installations, new technology, and live performance in an event that the creators hope will blur the boundaries between the real and the virtual to deliver an “unprecedented” flower-art experience. Japan’s earliest cherry blossom viewing takes place in the “Ousai (sakura) Area” (桜彩 エリア), where 100 flowering sakura from Yamagata combine with recreations made from traditional washi paper and projection mapping to deliver some 18 varieties of flower in a space that includes an event stage and bar serving drinks from an original sakura-themed menu. Artist and NAKED Inc. director, Muramatsu Ryotaro hopes that the year’s earliest cherry blossom viewing will offer visitors an experience that is “more than just about seeing, it’s about feeling,” as they take in each of the areas. 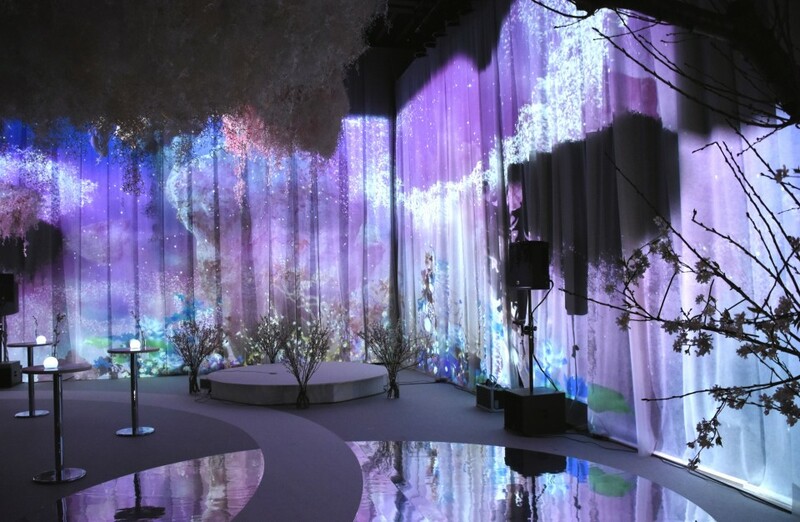 Another of the areas, entitled “Hanabata” (花畑), sees the NAKED team collaborate with chic fashion brand LANVIN en Bleu to create a dream-like flower garden reflecting the creator’s experience of flower gardens as a child. 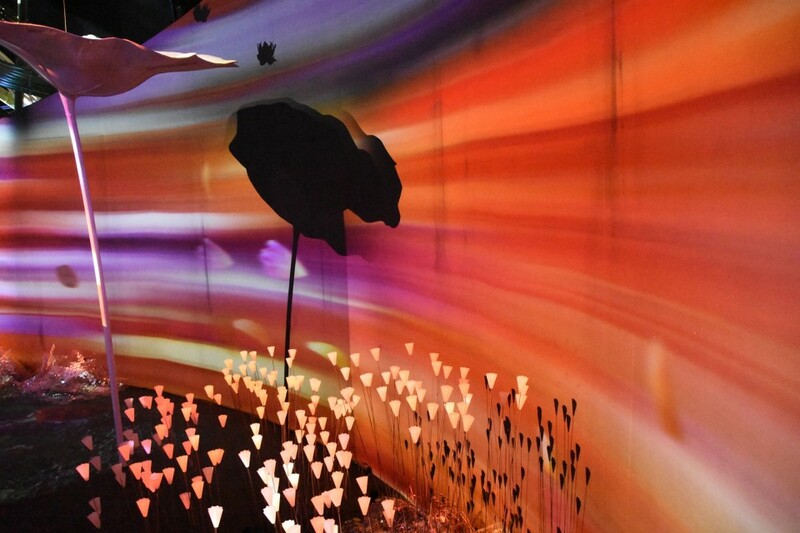 “Hanabata” projects some 1,500 flowers that move across a display subject to dramatic forks of lightning, rain, rainbows, and even leaping frogs. 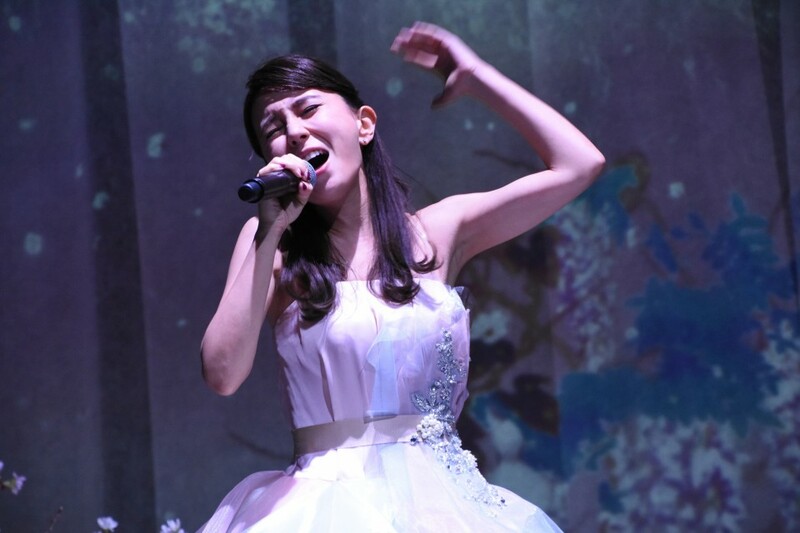 Singer May J., who rose to prominence in Japan after singing the end-credits version of “Let it Go” for the Japanese release of the Disney movie “Frozen,” wore a LANVIN en Bleu-designed dress for the opening where she admitted that, while she used images of flowers to help her compose the song for the event, she had no idea what to expect from the space until it came to rehearsal. 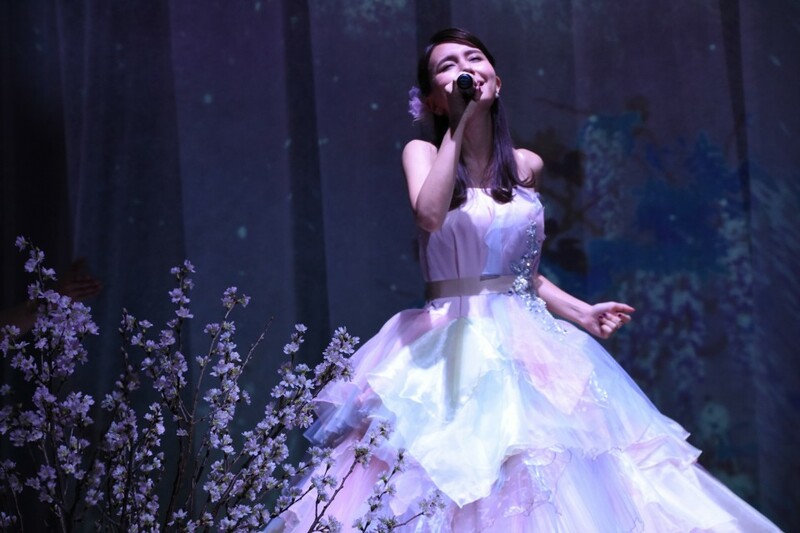 “I could enjoy the experience in the same way as visitors will.”, the singer said of her experience in performing in such a space. 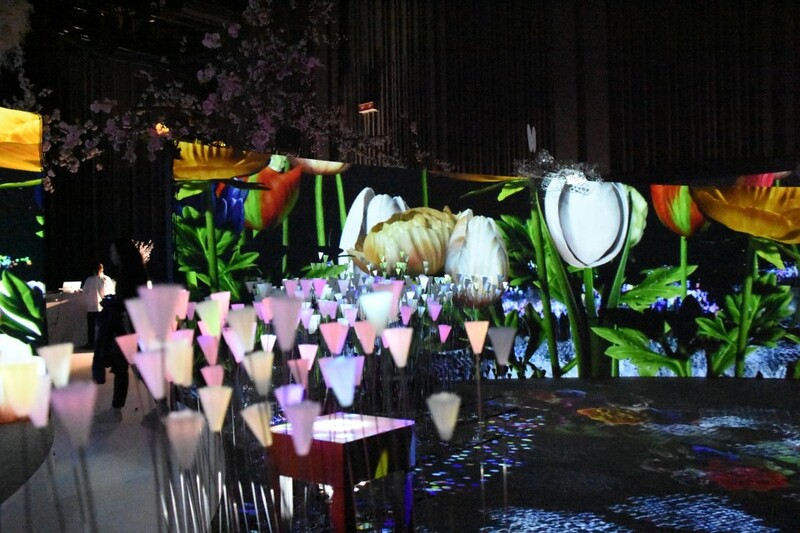 In total, “flowers by Naked 輪舞曲” employs 20 varieties of real flowers across its installations, recreating another 240 varieties in projections and art pieces. A program of live shows and performance is also scheduled for the event which will run from Jan. 23 - Feb. 26, 2018.